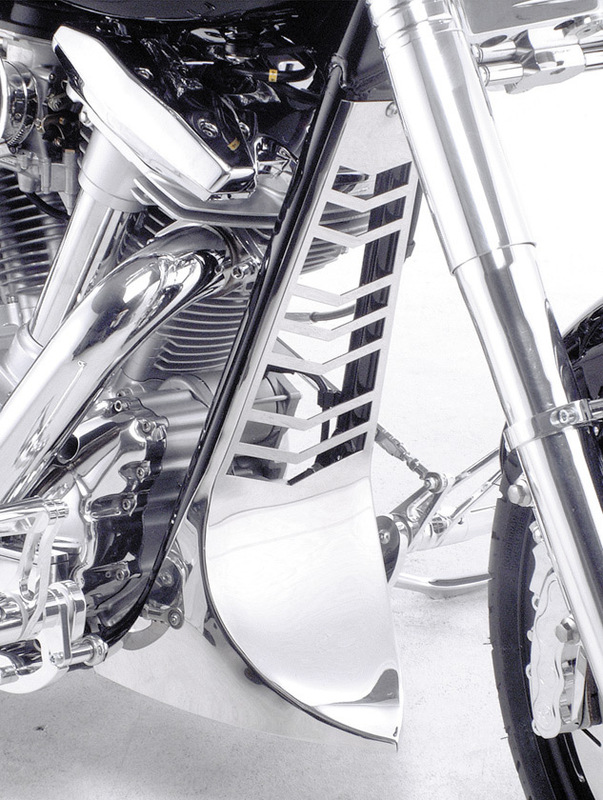 The Yamaha XV 1600 Starfire II unites Japanese perfection with American tradition into a motorcycle monument. 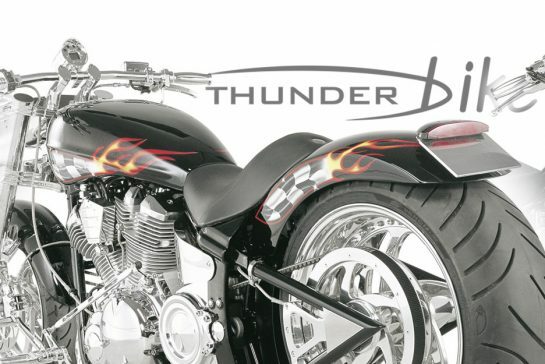 The customizers of Thunderbike in Hamminkeln have done everything necessary to make a lasting impression. 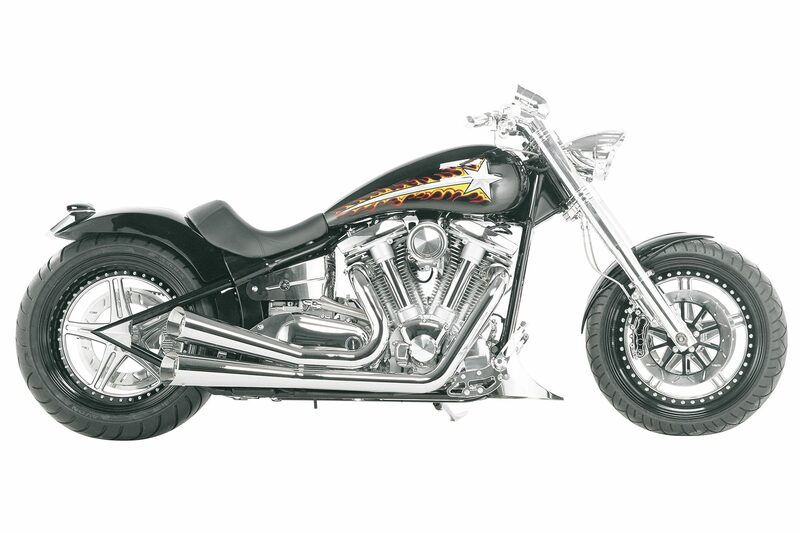 You do not just have to experience a motorcycle, you also have to be able to feel it. It should be perceived with as many senses as possible. 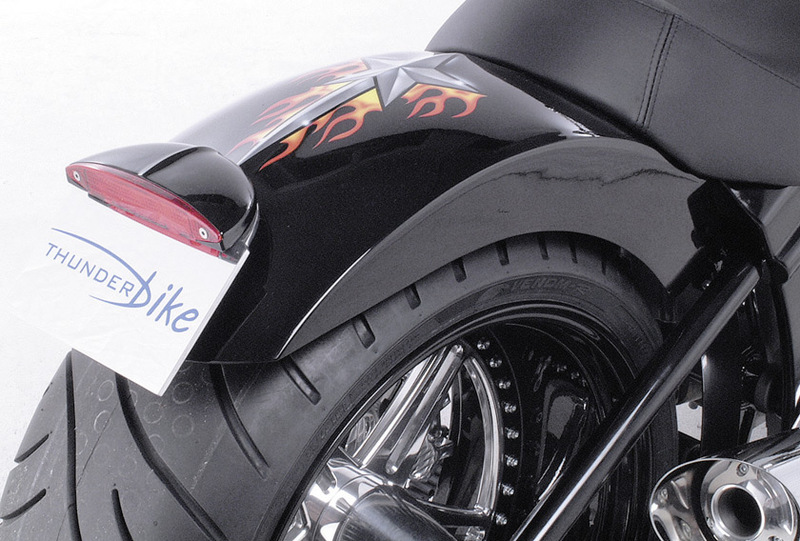 Not every bike can give you that sensory noise. Many open up to the lover only about their way of getting around. 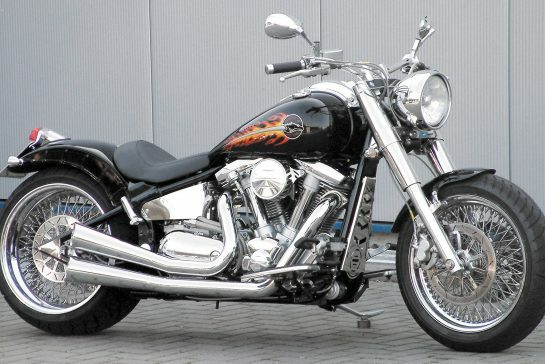 It is different with a custom bike from Thunderbike in Hamminkeln on the basis of the already standard not to be despised Yamaha XV 1600. 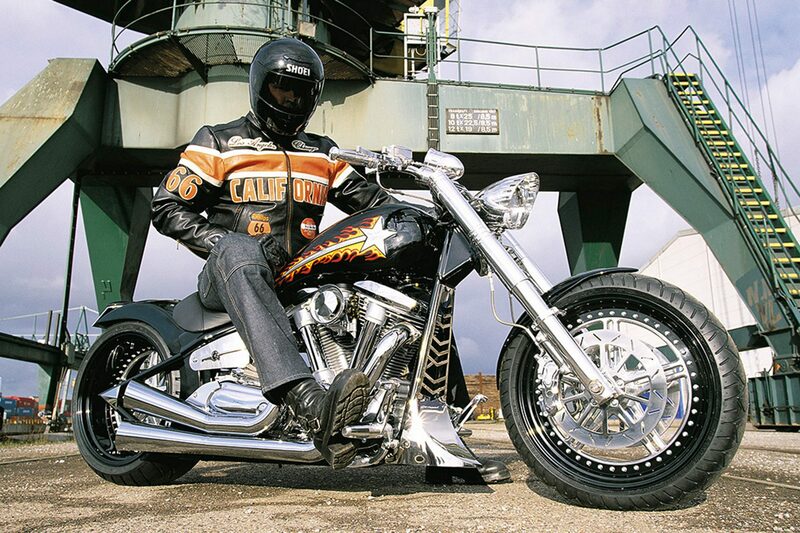 You do not just have to experience a motorcycle, you have to feel it! When the hand slides over the tank, you can feel the surface elevation on the flanks supporting and emphasizing the course of the star tail. 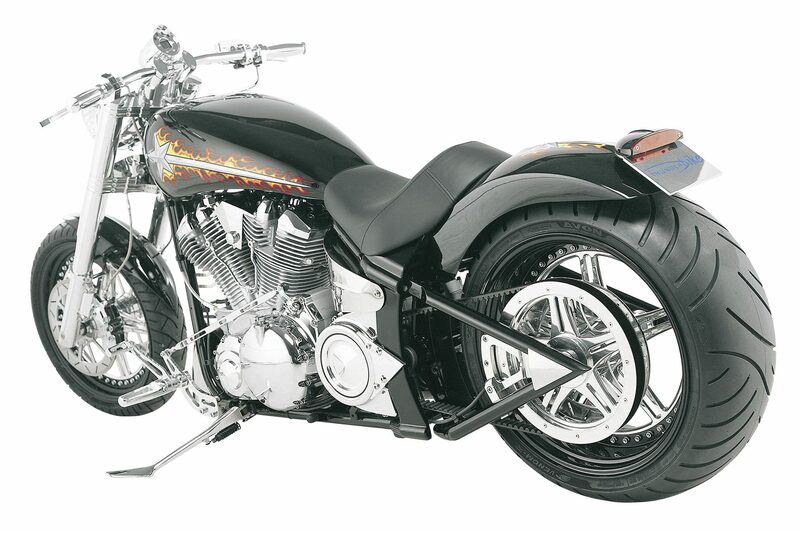 Following the tank body and the tail, the hand wanders over the neatly processed seat on the rear fender – like the tank painted with the tail motif – which also features an incorporated elevation. 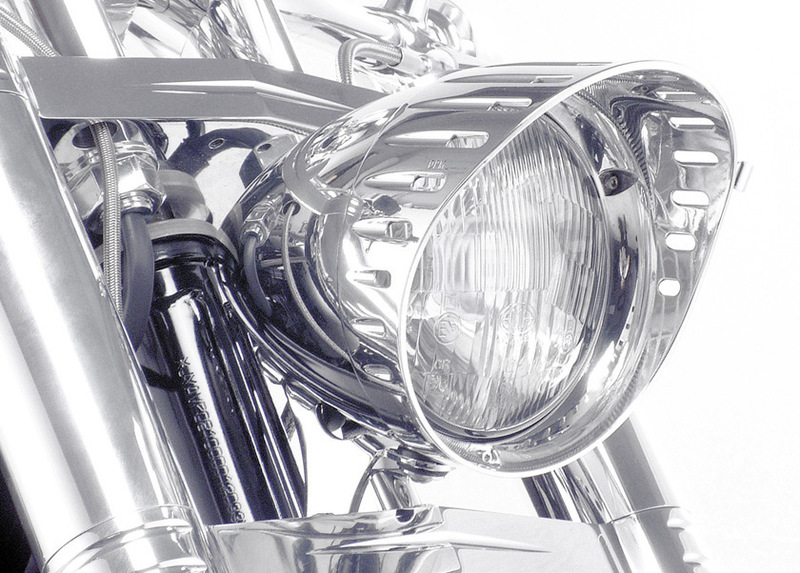 There are other details such as the polished aluminum handlebar controls with the mini switch unit “Switch”, which make the experience an experience. However, the connoisseur should first let his eyes wander over the XV 1600 Starfire 2 before he lends a hand. 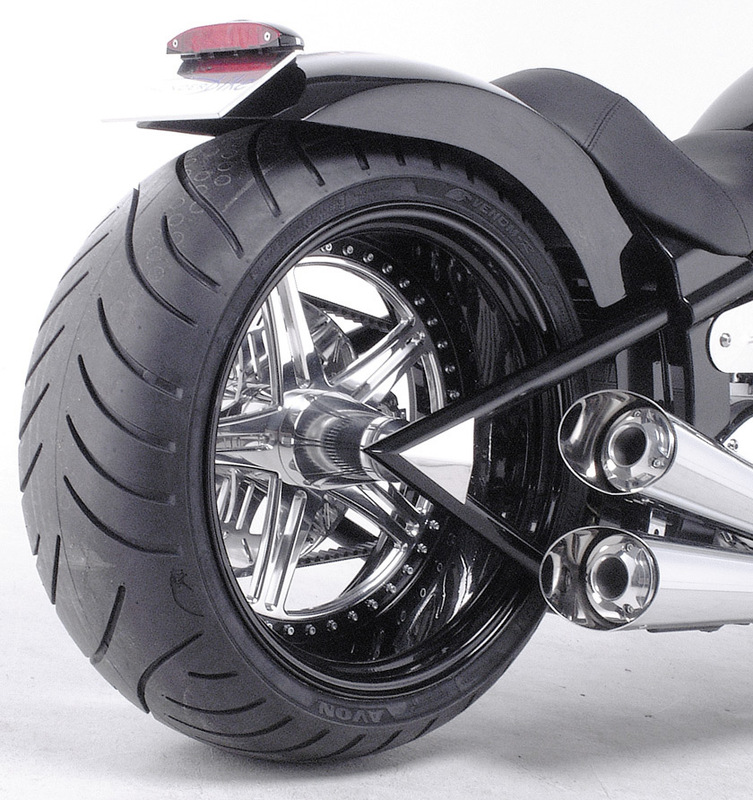 If the view from the right falls on the monumental rear wheel rim (9.00 x 18 inches) with the black screwed rim base and the polished rim star, no brake system and no toothed pulley spoil the perfect picture. Both parts can be found on the left side and offer – so close together – a technical feast for the senses. 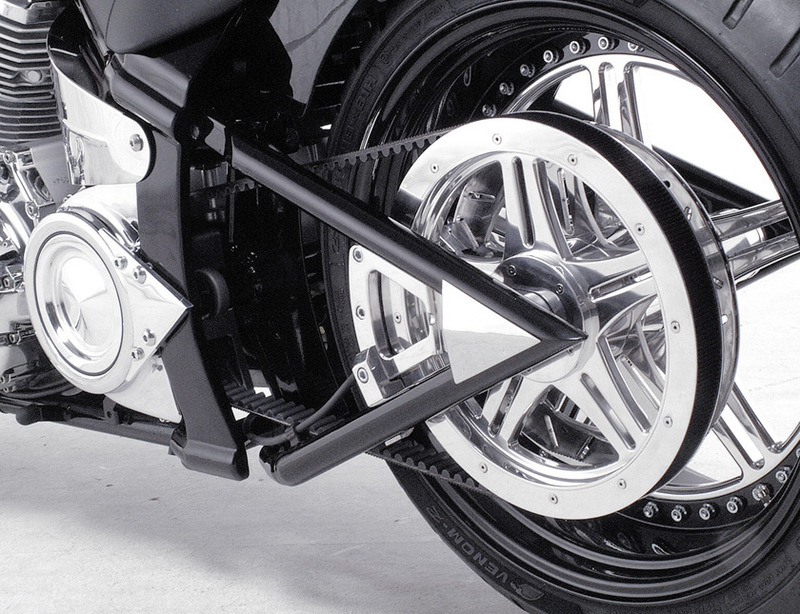 The front 18-inch rim in Apollo design identical to the rear – over which a highly polished, decorated with aluminum cover and held by the V-Tech bridge held fork, is not so open to glare , This successfully prevents an eight-piston double disc brake system with a disc diameter of 280 millimeters. But that is certainly no reason to close your eyes, because the plant originating from Spiegler meets high optical standards. There is only one verdict on the optical appeal of the 1600ccm 48-degree Vau: simply fascinating! Strongly based on the American model – why not? 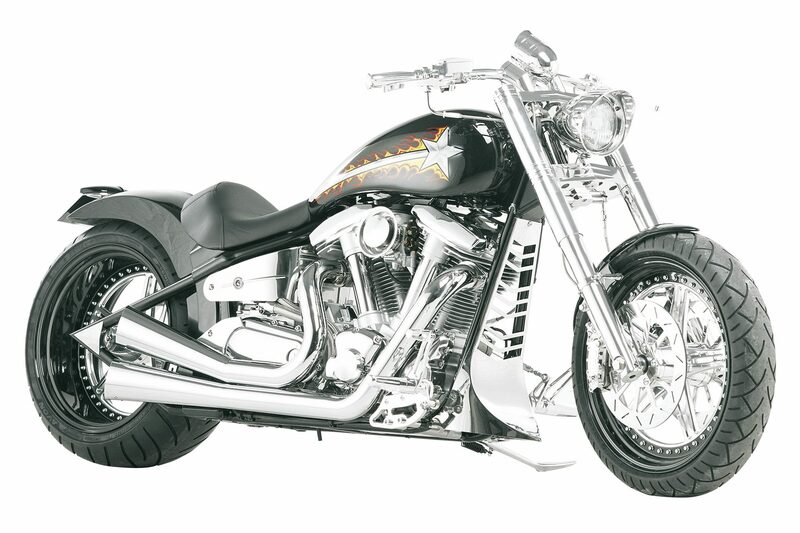 – but even more imposing in terms of size, the V2 Big-Banger resides in the frame, also reminiscent of Harley’s acclaimed Softail models. 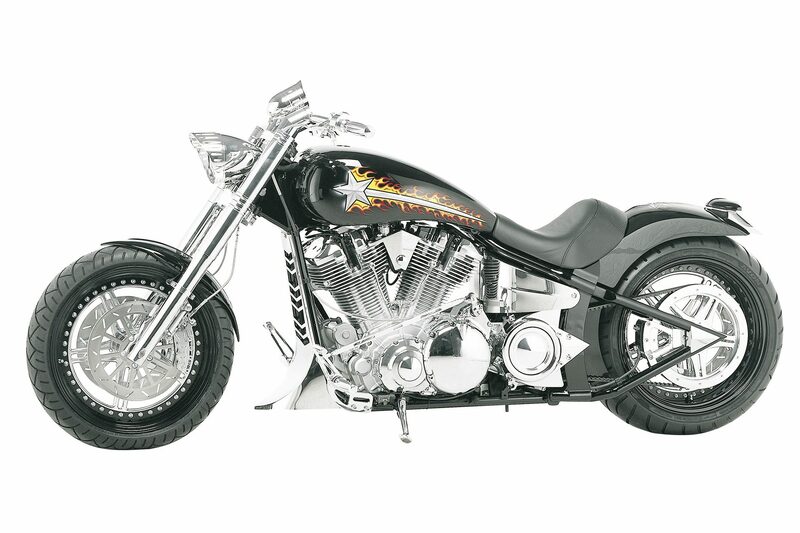 Musically, the two-cylinder is supported by the Megaphone exhaust system. Their elbows follow the cylinder angle and end in beautifully short end pots, which are reinforced with an aluminum end cap. But enough of the theory – let’s tackle it. 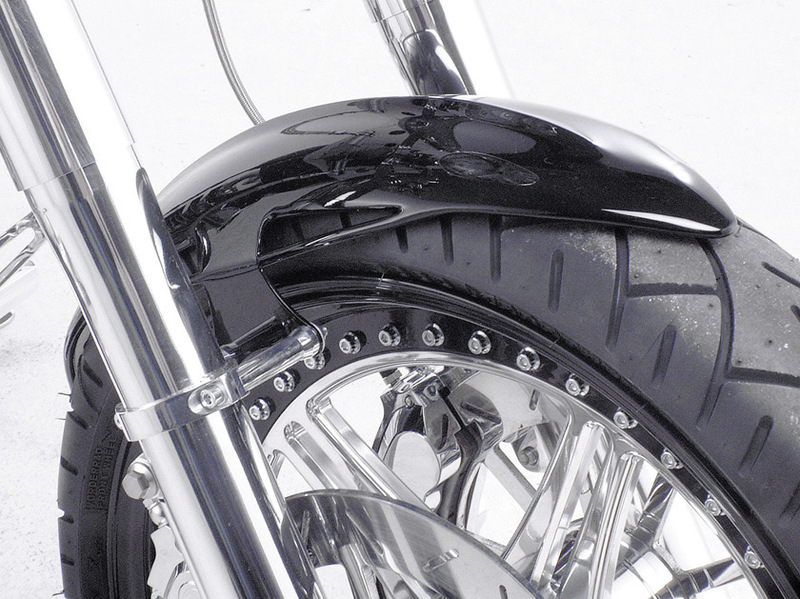 The hands on the aluminum handles, the feet placed on the aluminum footpegs, up on the neatly adapted seat, which welcomes the indulgence people benevolent. The sound, which rises from the depths of the Japanese giant Vaus and penetrates via megaphone exhaust system in the hearing center, arouses all the senses and the desire to gain practical experience with this noble device. Der im Serientrimm nicht unbedingt vor Temperament strotzende V2-Treibsatz fühlt sich – mag es auch nur dem betörenden Sound zuzuschreiben sein – ausreichend potent an. Über den Fußschalthebel, den man am liebsten mit der Hand bedienen würde, wird der erste Gang eingelegt. Der Zahnriemen setzt Gasbefehle stets ruckfrei in Beschleunigung um. Das maximale Drehmoment von 134 Nm ist bei 2250 Touren zur Stelle. To ensure that the enjoyment is followed by no remorse, the bravely grasping brake system from Spiegler ensures in difficult situations. It goes without saying that so much sensual pleasure has its price. 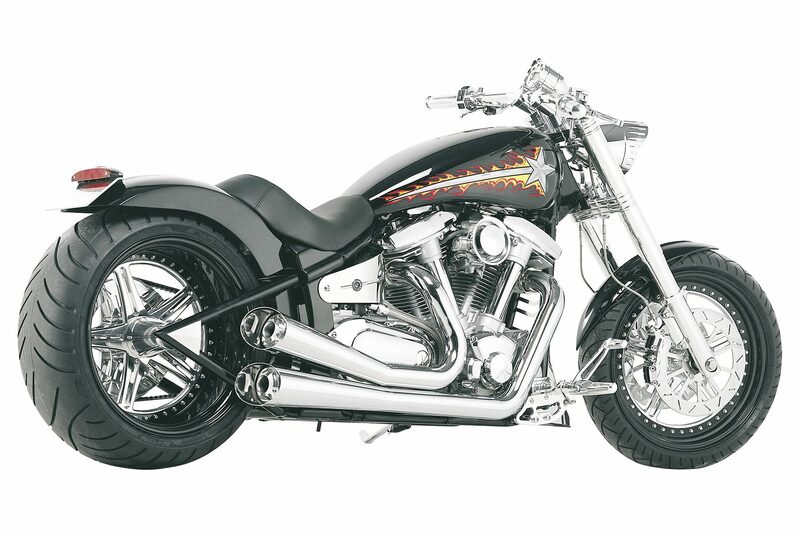 The cost of remodeling it on its own motorcycle, when made at Thunderbike, is € 19,950. If that’s too much of a good thing for you, you can put your individual ideas into action for the Thunderbike team – or look around for an alternative at Güterstraße 5 in Hamminkeln.